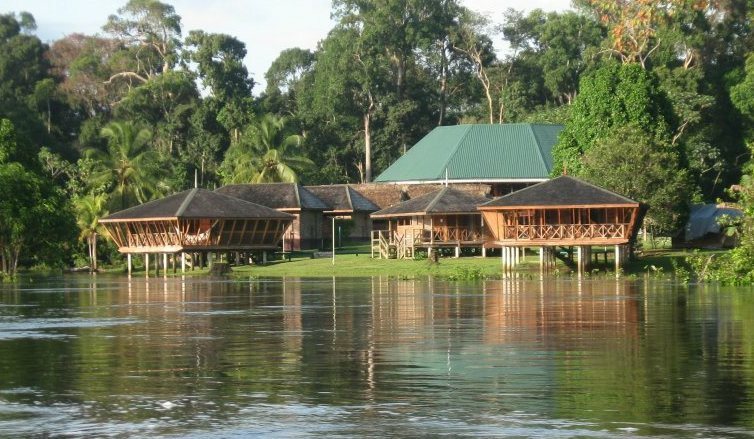 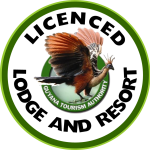 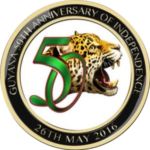 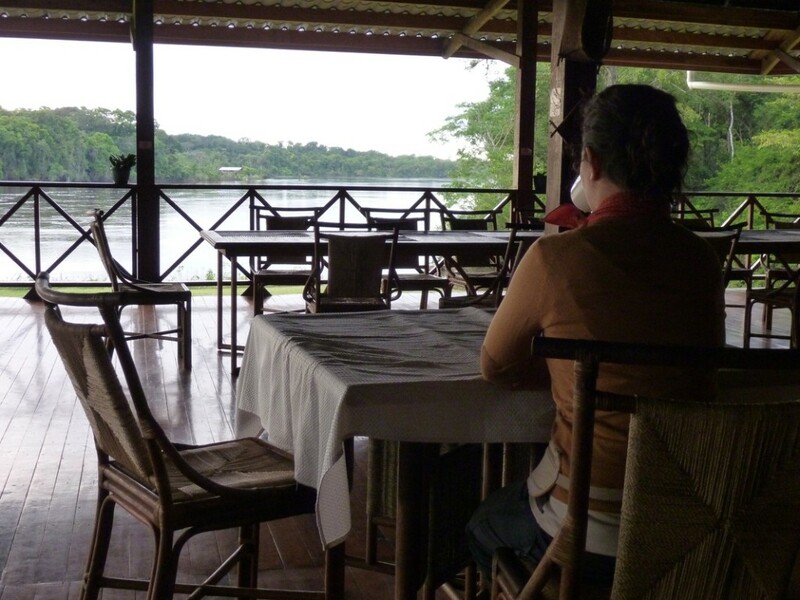 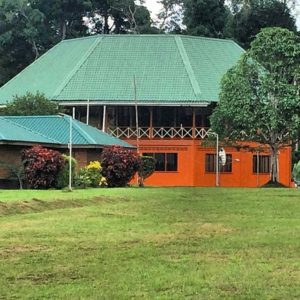 Nestled on the banks of the majestic Essequibo River in the heart of Guyana is the award-winning Iwokrama River Lodge and Research Centre. 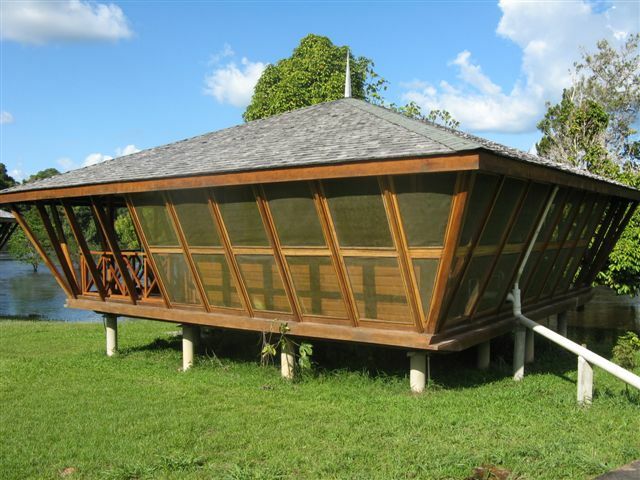 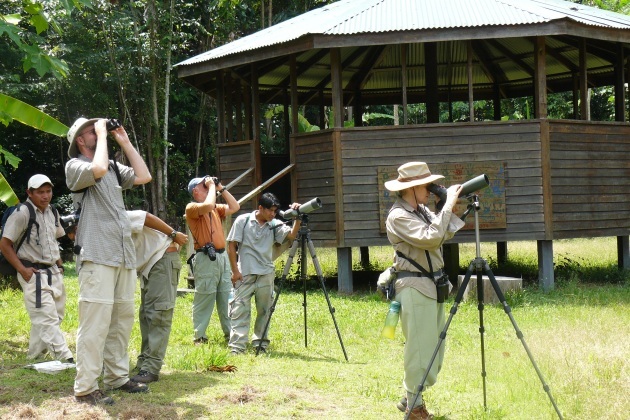 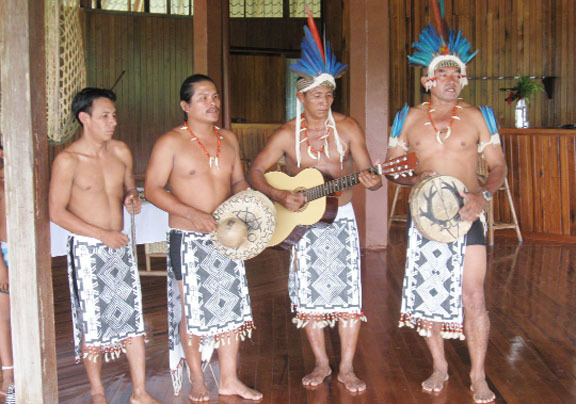 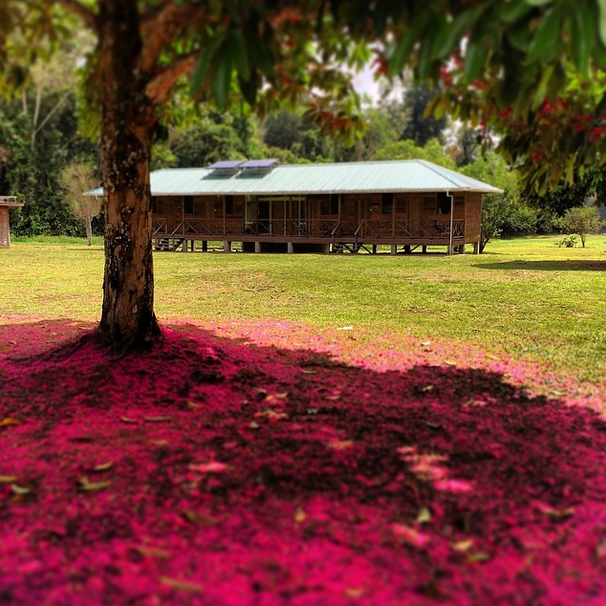 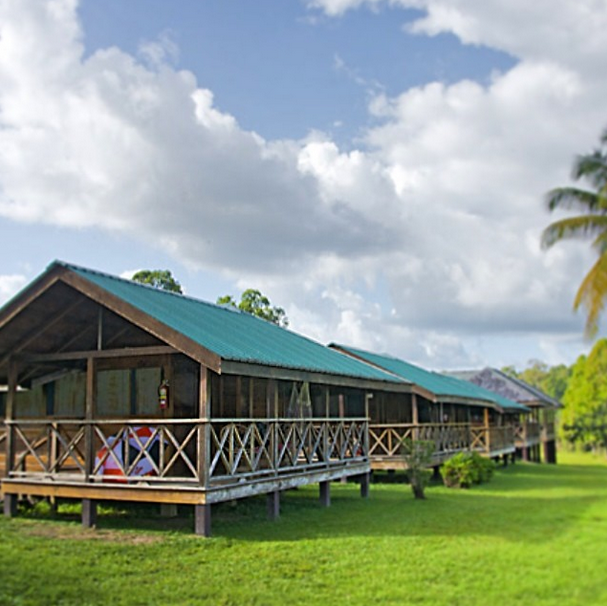 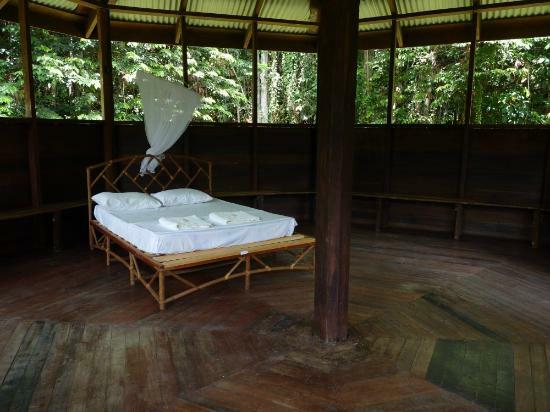 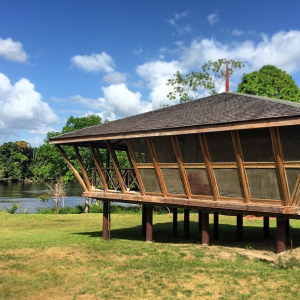 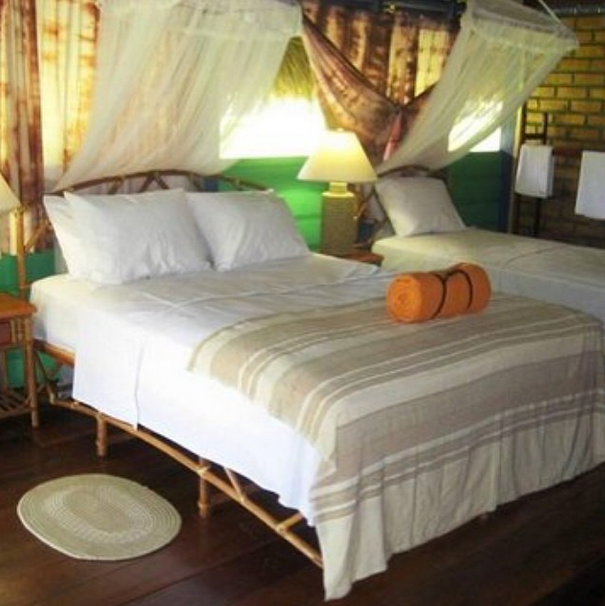 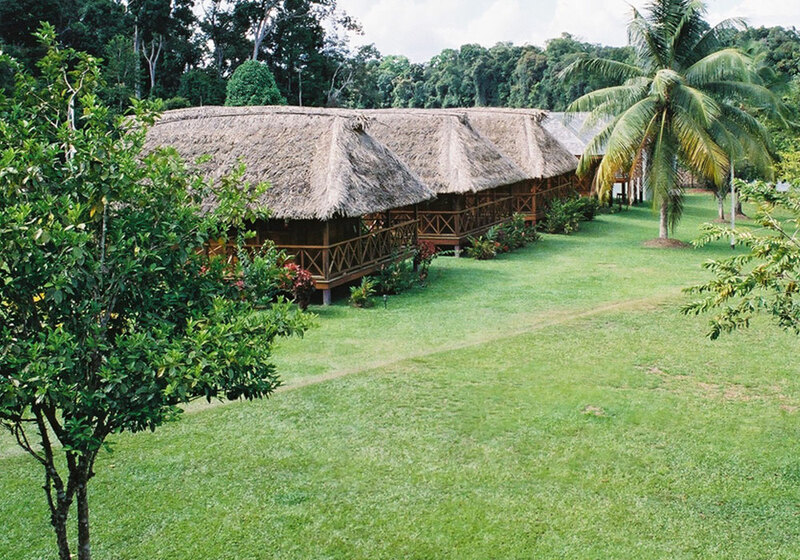 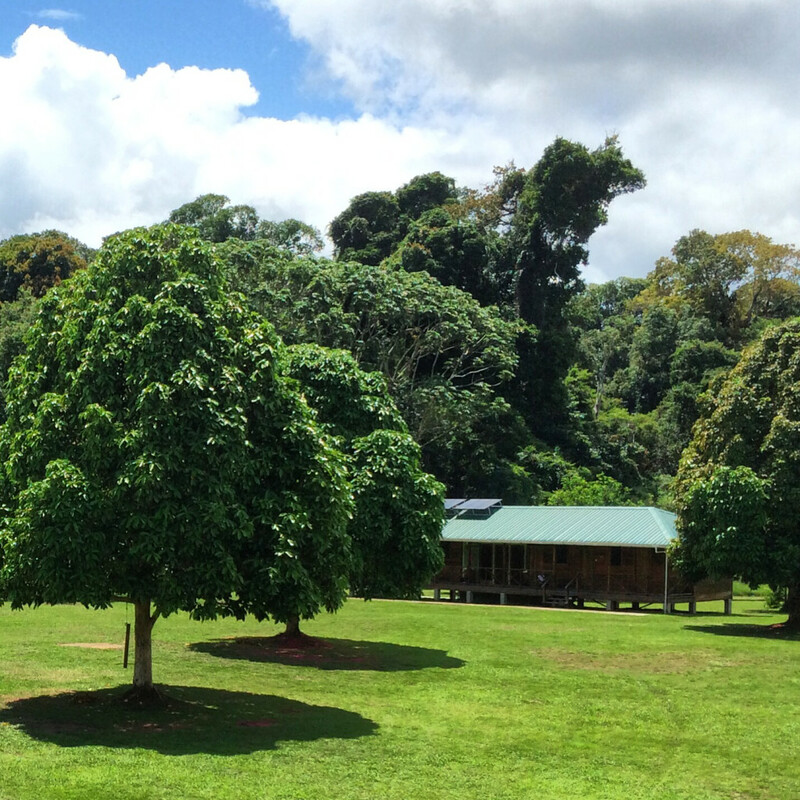 This eco-tourism gem is surrounded by a vast tropical rain forest which was donated to the international community in 1989 to demonstrate Guyana’s commitment to combating climate change and to show how tropical forests could be used to provide sustainable economic benefits. 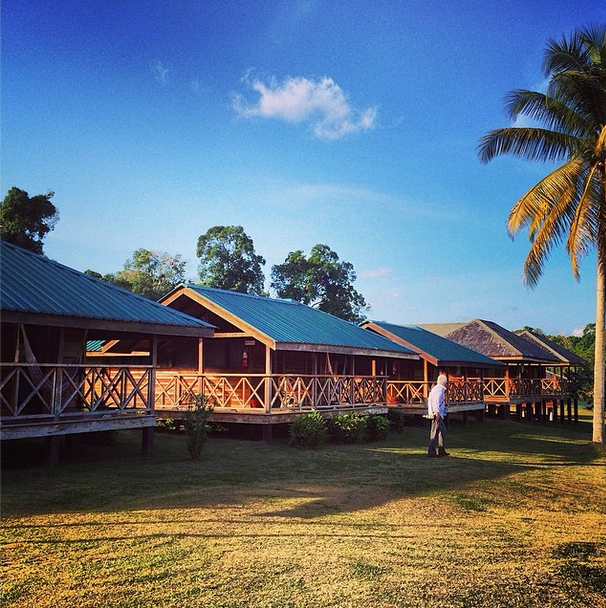 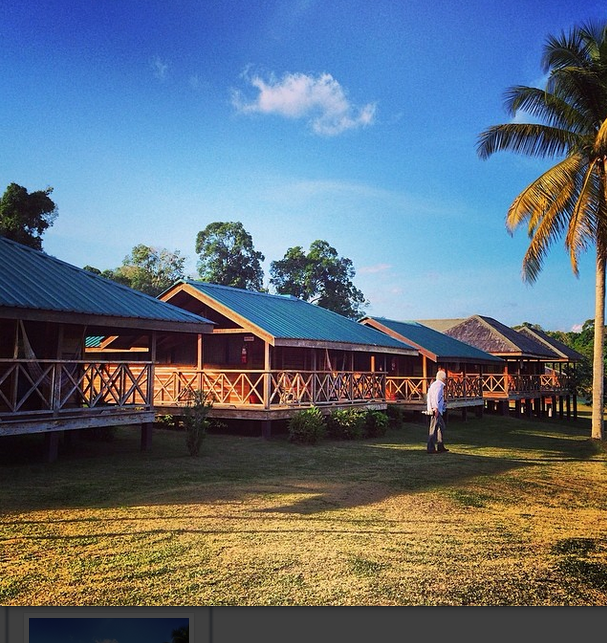 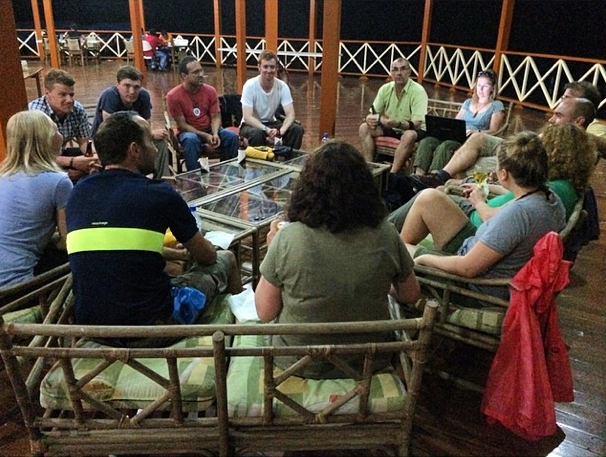 The Lodge consists of guest accommodation, a full service kitchen, restaurant, bar, two shops, and a boat dock. 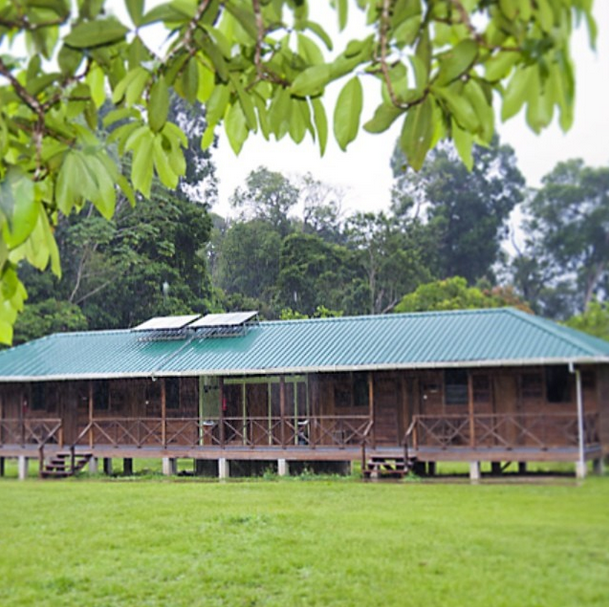 There are eight beautifully situated river facing cabins, each of which is spacious and beautifully designed, equipped with fans, bathroom, 24-hour electricity supplied by solar power, and a wrap-around verandah with hammocks. 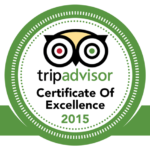 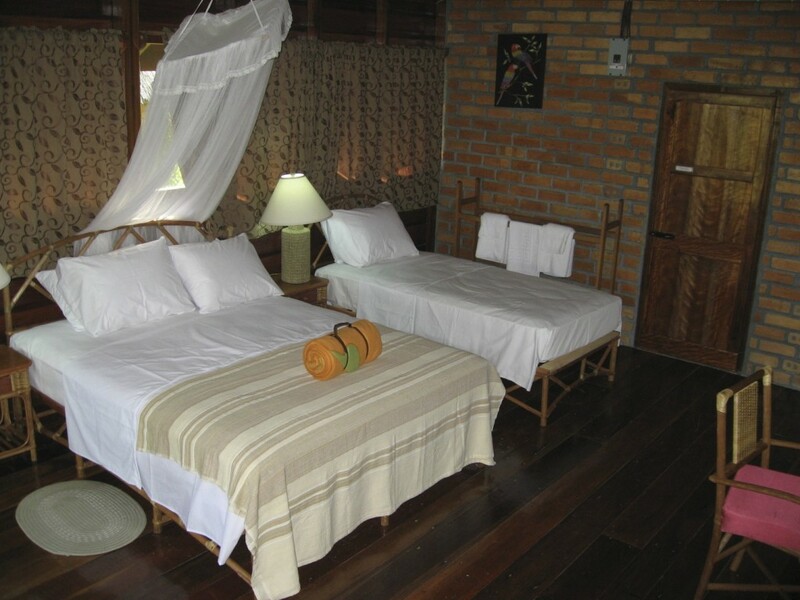 Our cabins are designed for two but with room for a third bed if required. 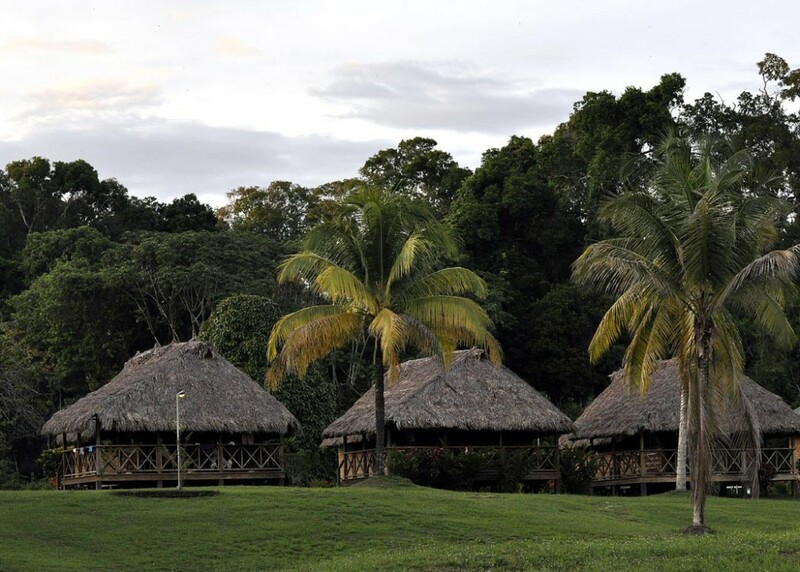 From these comfortable cabins, watch the sun go down, listen to the many local birds and other wildlife or simply relax in your hammock. 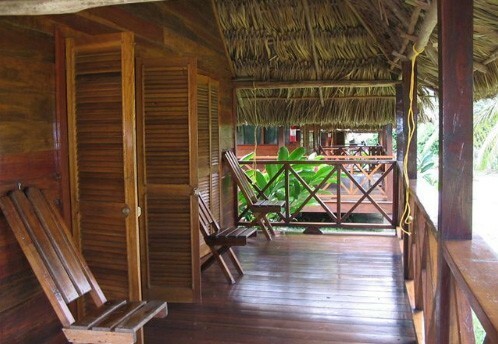 These cabins were built for comfort and are perfect for everyone, from families to friends traveling together. 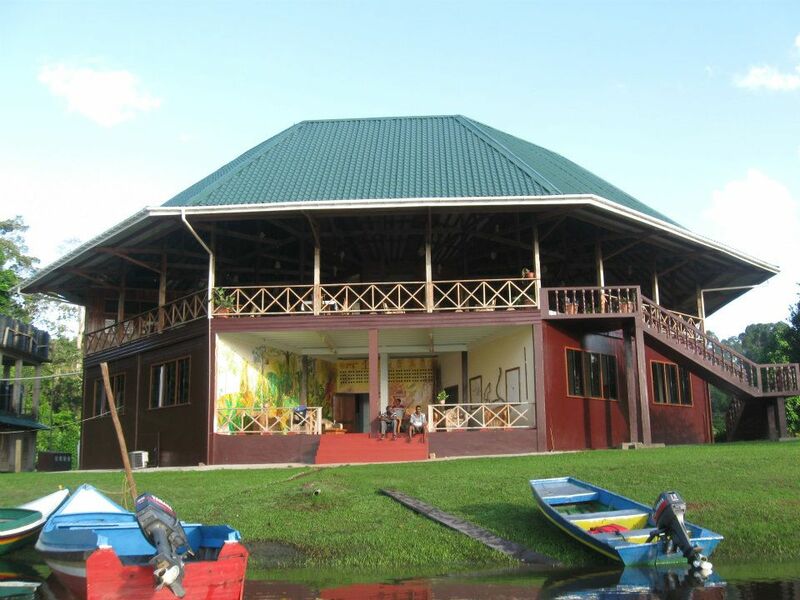 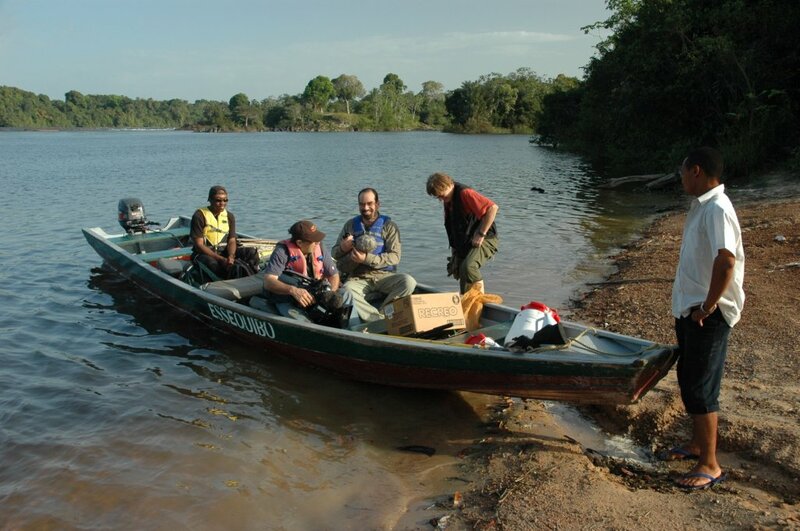 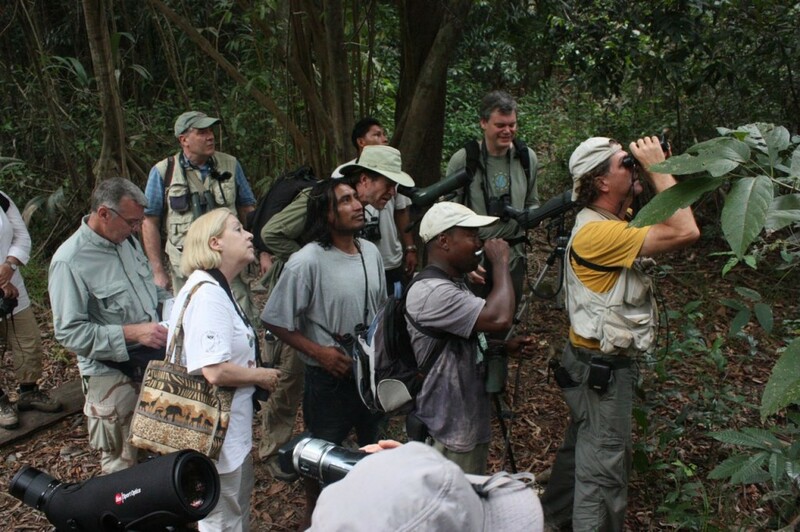 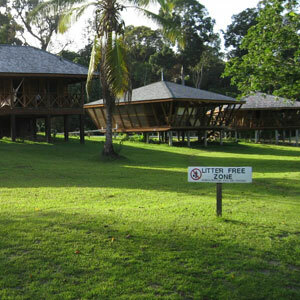 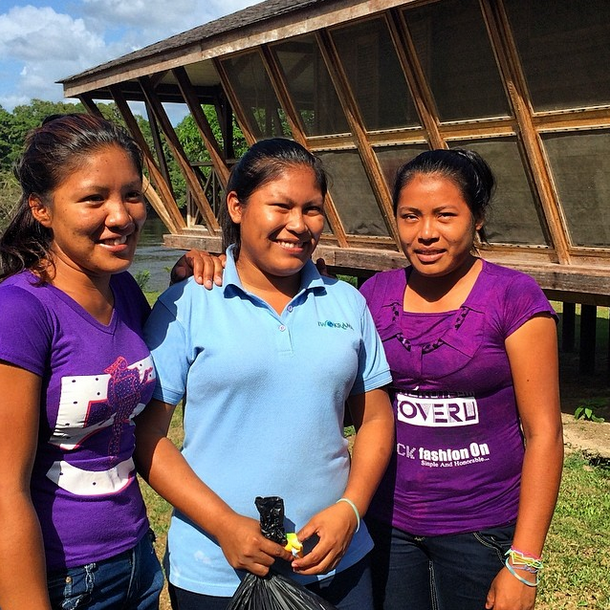 The adventurous and curious will want to spend a day or two exploring Turtle Mountain and the surrounding rain forest. 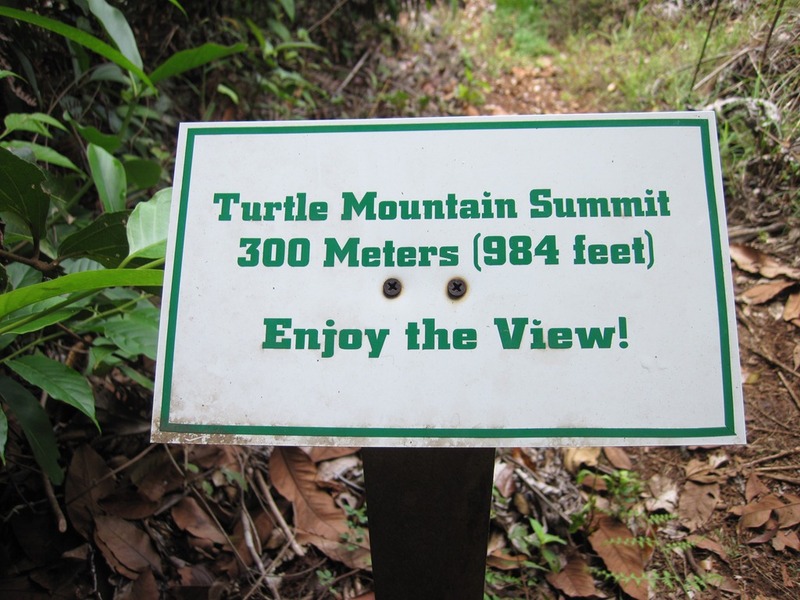 The head of the Turtle Mountain trail is a 15 minute boat ride from the main lodge. 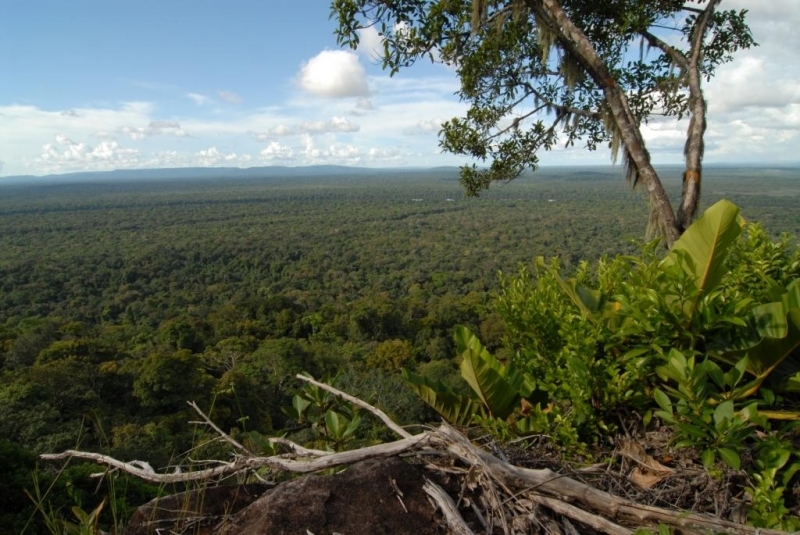 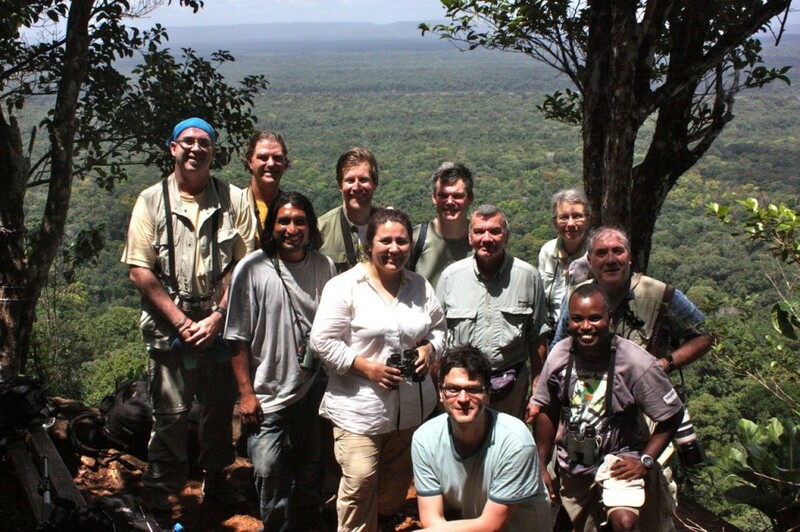 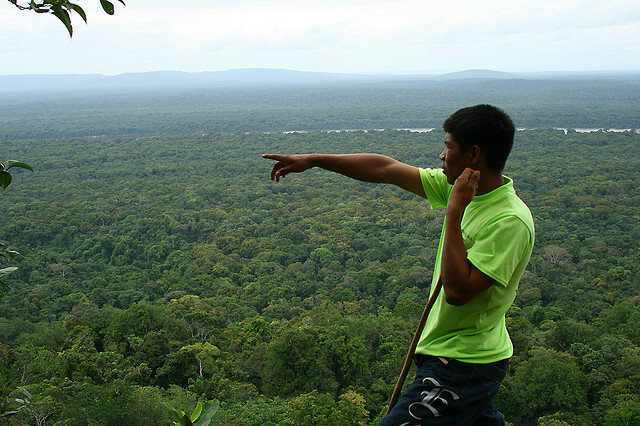 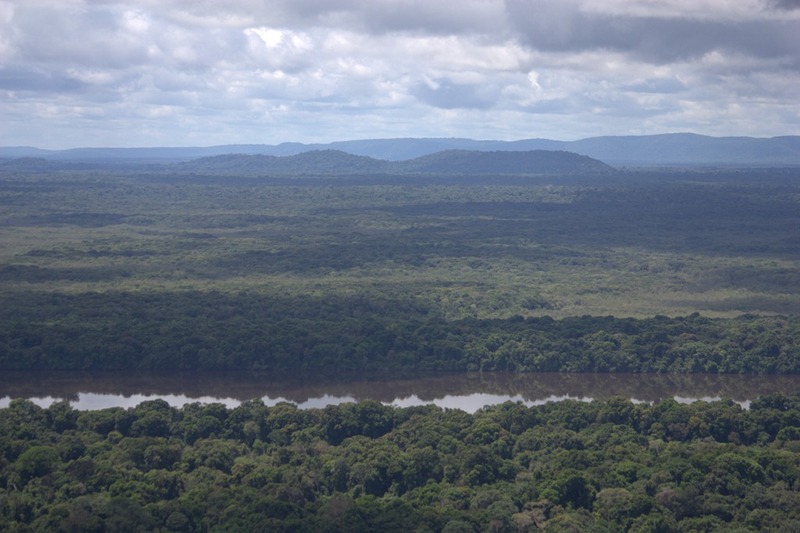 Soaking in the views of horizon-to-horizon canopy cover from atop Turtle Mountain is a classic, unforgettable Guyana experience. 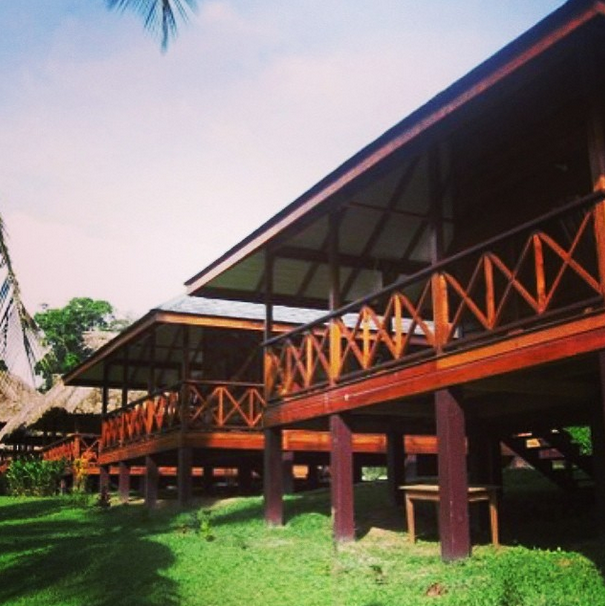 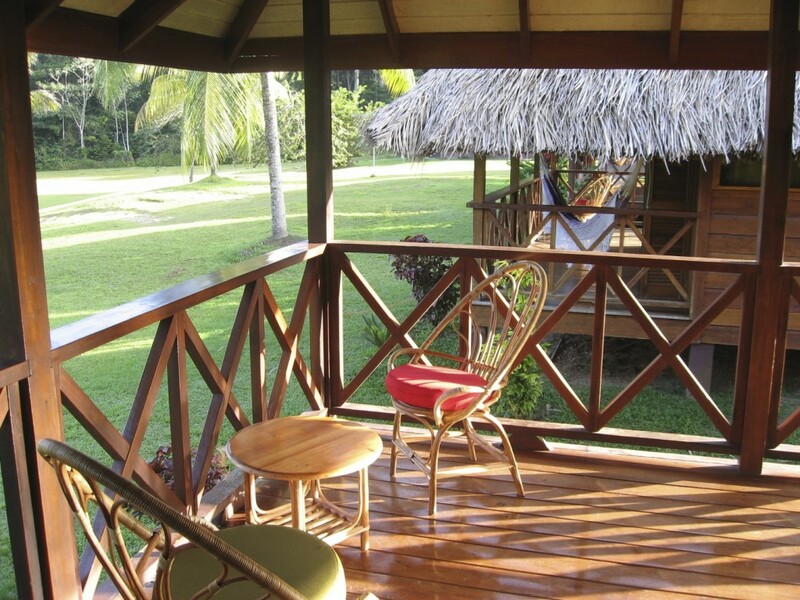 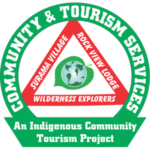 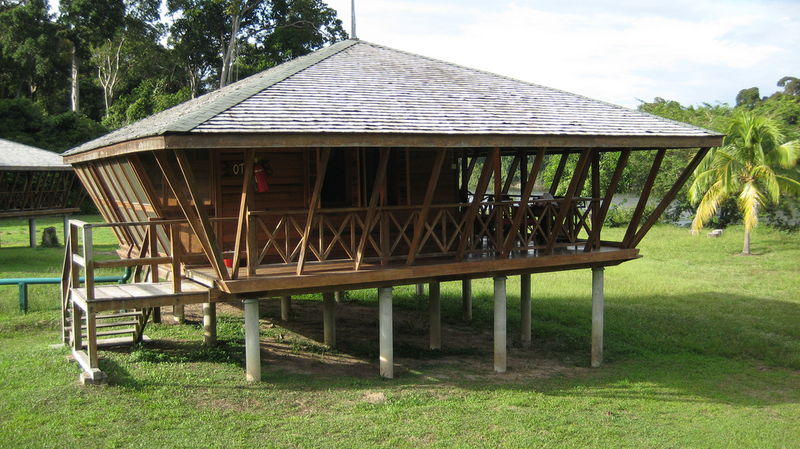 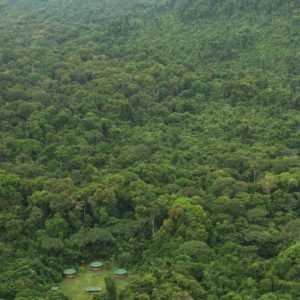 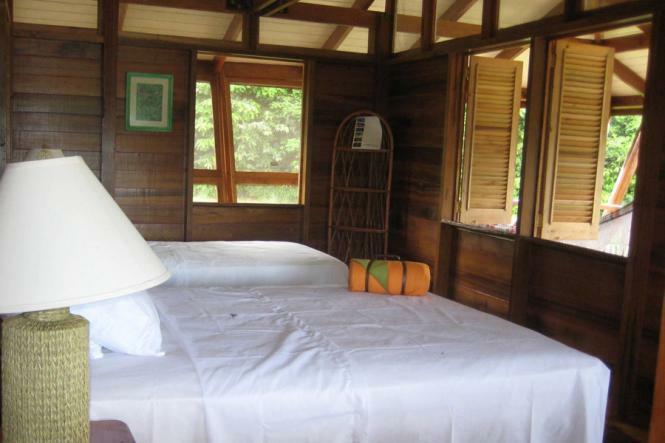 Our cabins at the base of the mountain make a great base camp for excursions on in the forest or along the Essequibo River. 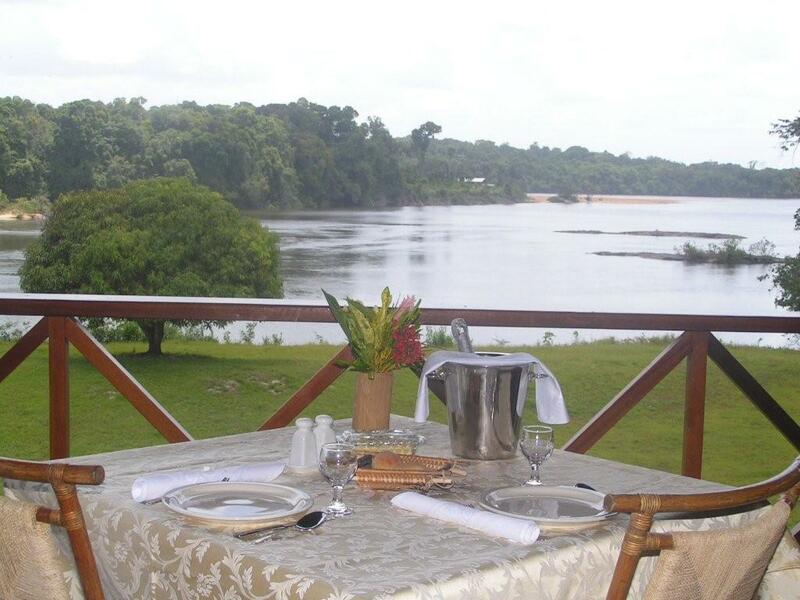 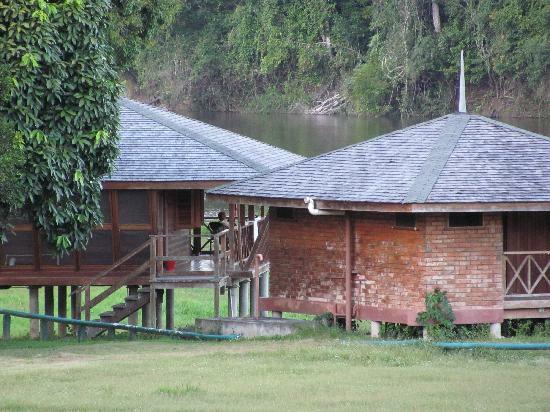 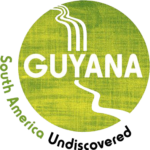 Nearby, overlooking the river, is the bar and the restaurant, where, after an exciting day of discovery and exploration, you can enjoy traditional Guyanese cuisine at our restaurant. 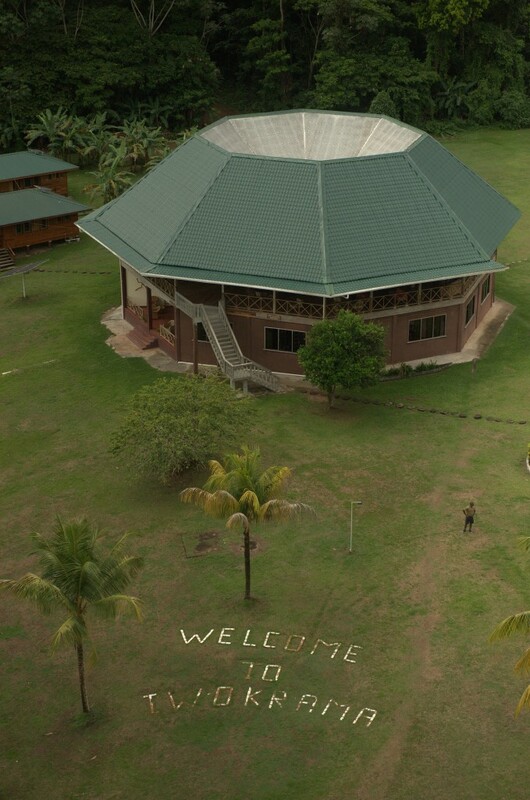 A computer with internet access is available in the tourism office, and the entire building is covered by WiFi internet access*. 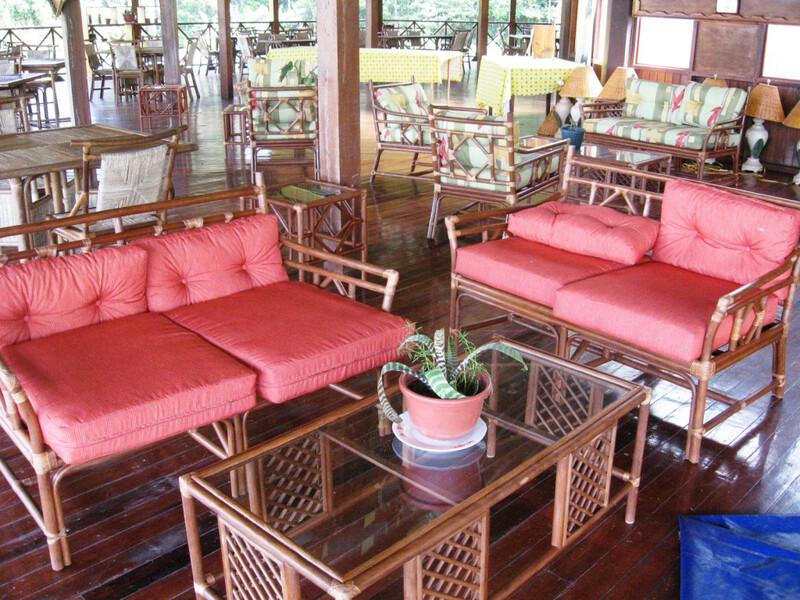 A gift shop and a shop selling cold drinks, snacks and general items such as toiletries that you may have left at home is in the lower level. 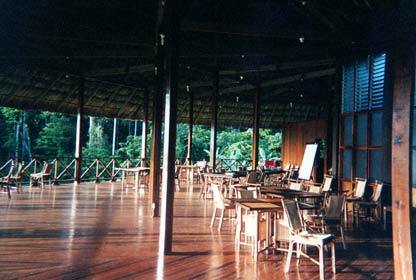 Not far away are two science laboratories and a conference room with air conditioning and which is wired for digital equipment such as computers and LCD projectors.